Conquer The Gauntlet Pro and MudGear Pro Ashley Samples wearing the MudGear sleeveless jersey and the low cut socks. Author in MudGear's TacHat with Green Beret Challenge patch, MudGear socks and MudGear's MadGrip gloves. Gloves are preventing rope burn from the super heavy Crank It Up obstacle at Conquer The Gauntlet Tulsa. MadGrip Gloves: I’m opposed to gloves for OCR, in most cases, but there are some exceptions. One of them is for Ultra-OCR (events that are 5+ hours in length). They can also be used in training to avoid damaging your hands for an upcoming race and can allow you to train past the point when your hands are sensitive to the touch. 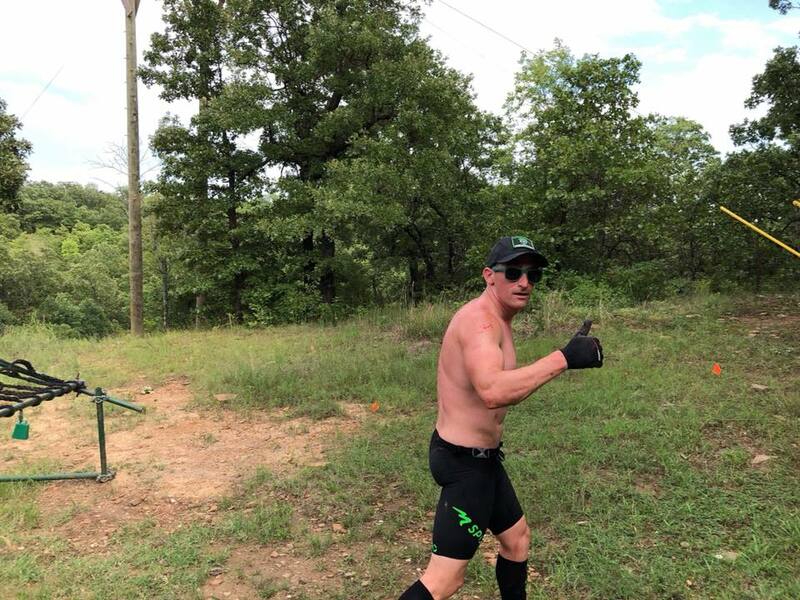 When I was preparing for OCR America, I only found one pair of gloves that I was willing to use in races like BattleFrog Xtreme and to protect my hands for my weeklong event. MadGrip gloves are those gloves. I spent a lot of time shopping around, buying gloves and comparing them on different courses. Let me save you some time, just head over to MudGear and pick up a pair of MadGrip. The gloves provide excellent grip when dry and keep your hands protected for completing things like walls, rope descents, heavy carries and low crawls. However, I still take them off for grip obstacles like rigs because nothing has better traction than bare hands. MudGear's TacHat with Green Beret Challenge patch and MadGrip gloves. TacHat: As fans of OCR I think we have all encountered the problem of “I want to wear X because I want to represent brand Y…but I’m also going to be gone for several days. Do I just pack multiple hats?” Well, MudGear solved this problem with the TacHat. Inspired by military tactical hats, The TacHat allows you to switch patches on the front showcasing the brands, companies, teams or just fun morale patches that you love. Feel like making a statement such as F**K BALLAS (Green Beret Challenge’s owner notorious for making you suffer), now you can with the TacHat and a GBC patch. If you forget all your patches, no worries, the Velcro area has the MudGear symbol embroidered on the front. The hat’s vented back and light, comfortable design would even allow you to wear it as a race hat, if you chose to do so. With a design made popular by Special Operation Forces of the US Military, you can’t go wrong with this hat. 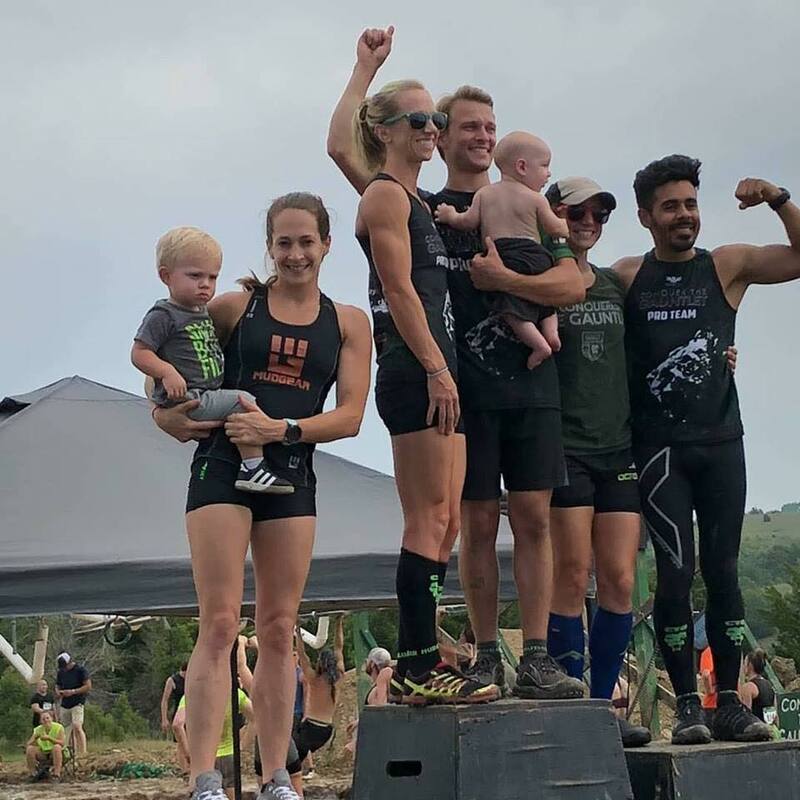 MudGear Race Jersey: Not every brand has their own custom sock, but almost every OCR company, race team or club has a color they associate with their brand. 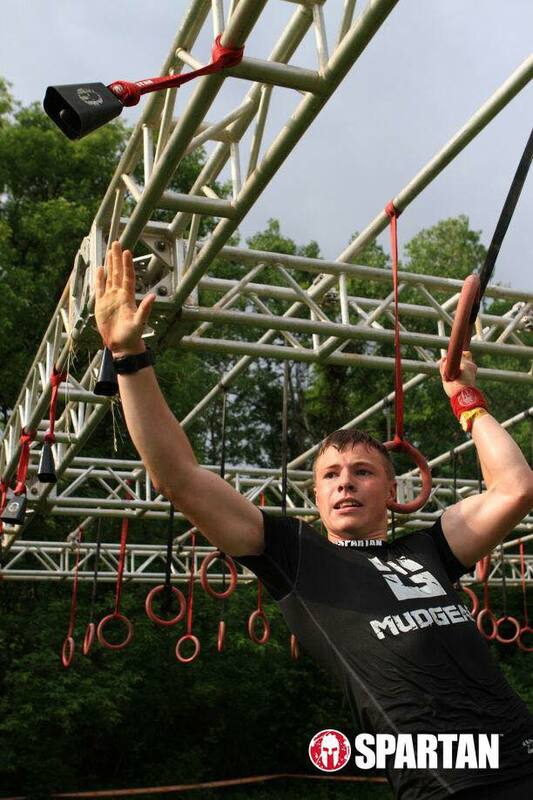 MudGear provides OCR jerseys with the MudGear logo in a bold design of varying colors. Big surprise, I went with Conquer The Gauntlet Green for mine or maybe it’s Green Beret Challenge Green or Spartan Beast Green….either way, it looks awesome! The fit is comfortable providing a moisture wicking top that has an athletic fit. While I normally race shirtless, the shirt fits comfortably enough that I have worn it for OCR training or running a 2nd lap with friends. While you can pay twice the price for other race jerseys, MudGear offers a lower cost solution that looks great and that performs the same (or better) on race day. 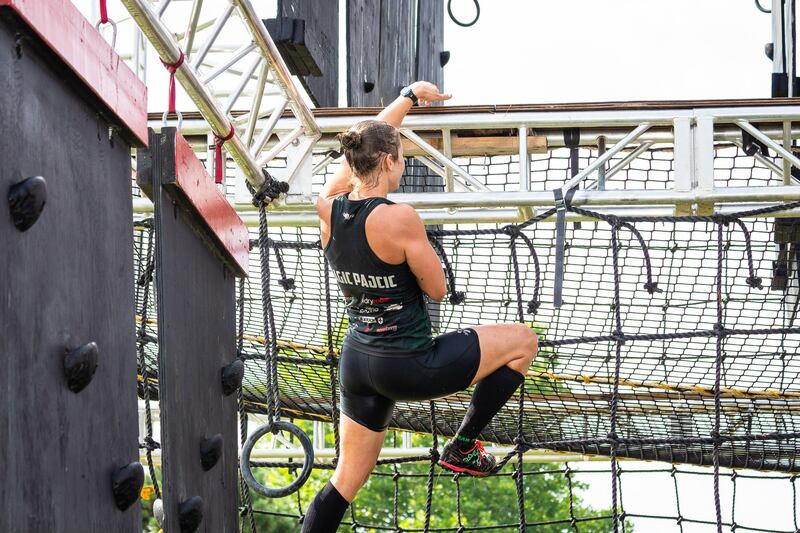 5x American Ninja Warrior veteran crossing Indian Mud Run's floating walls on her way to a 2nd place finish in the Pro Coed Division at North American OCR Championships. This is just the tip of the iceberg. 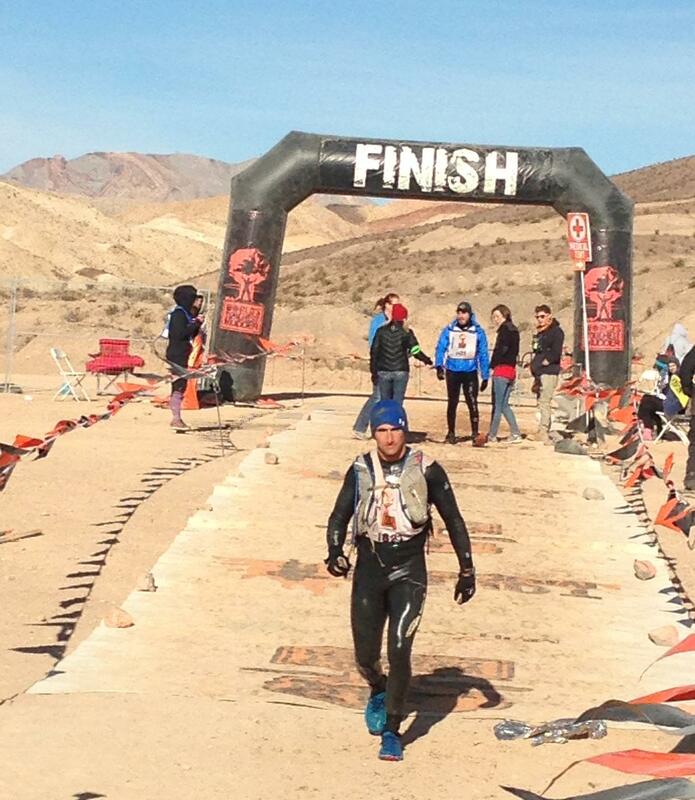 Check out their site for more great products including custom OCR jerseys if you are looking to head down that route. While their products are awesome, I can’t say enough good things about their brand. 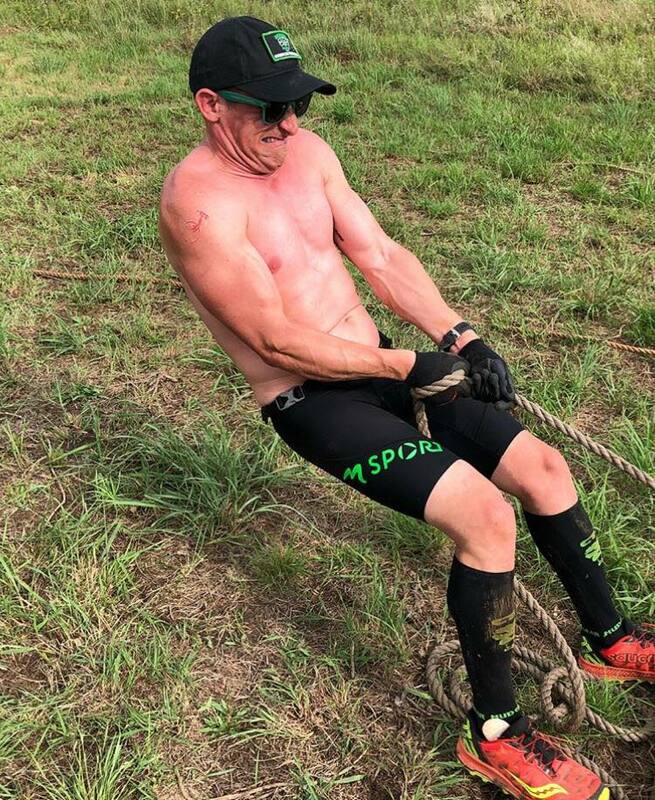 MudGear continues to invest in the sport of OCR sponsoring everything including podcasts, race teams, news websites, and teams for OCR World Championships. They go all in on OCR, and to show our love, I recommend we go all in on them. 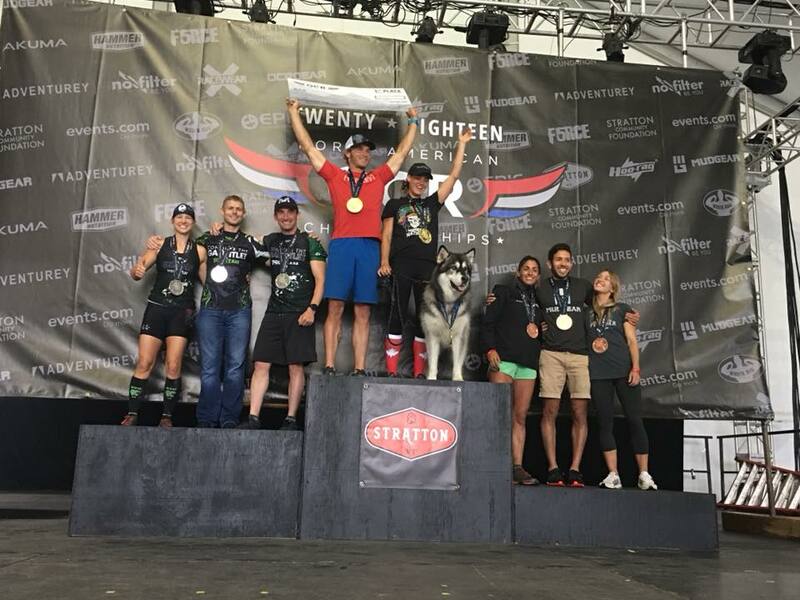 MudGear on every step of the Pro Coed podium at North American OCR Championships. Want to win some mudGear? Sign-up for our weekly newsletter and be entered into the weekly drawing. Sign-up here.